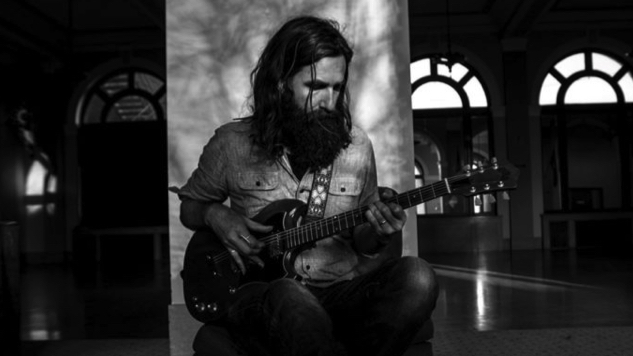 Former Band of Horses co-writer and lead guitarist Tyler Ramsey has debuted “A Dream of Home,” the lead single from his forthcoming solo album For the Morning, due out April 5 from Fantasy Records. Ramsey drew inspiration from the wilderness that surrounds his North Carolina home to create the mood for his folksy new album and, lyrically, to carry its messages of perseverance and remaining grounded during times of uncertainty. This album came about in the midst of a lot of change. The birth of my daughter, a move to the country, and the steady realization that I needed to switch the road I was on in my life as a musician and songwriter. I tried to express and balance images of life as a constantly traveling and touring musician with the more connected life I live at home and the time I spend hiking in the mountains where I live. Listen to the hopeful “A Dream of Home” below, along with Ramsey’s 2008 Daytrotter Session, and keep scrolling for dates from his upcoming tour itinerary, including select dates with Strand of Oaks and Carl Broemel of My Morning Jacket.